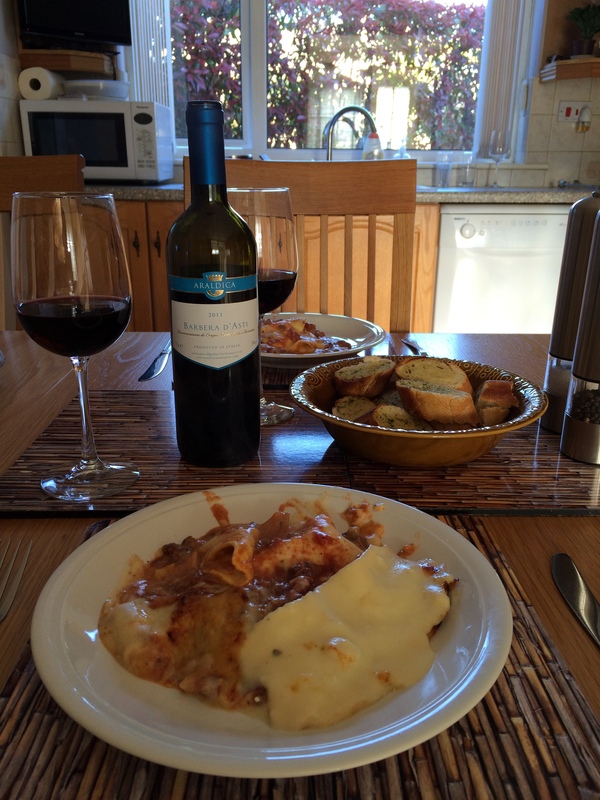 We were looking for a relatively simple beef lasagne recipe and found one on the All recipes website. 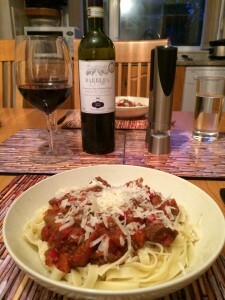 The meat sauce is made from onion, carrots, garlic, oregano, minced beef, tomato purée, Worcestershire sauce, bay leaf, red wine, tinned chopped tomatoes, milk, salt and pepper. 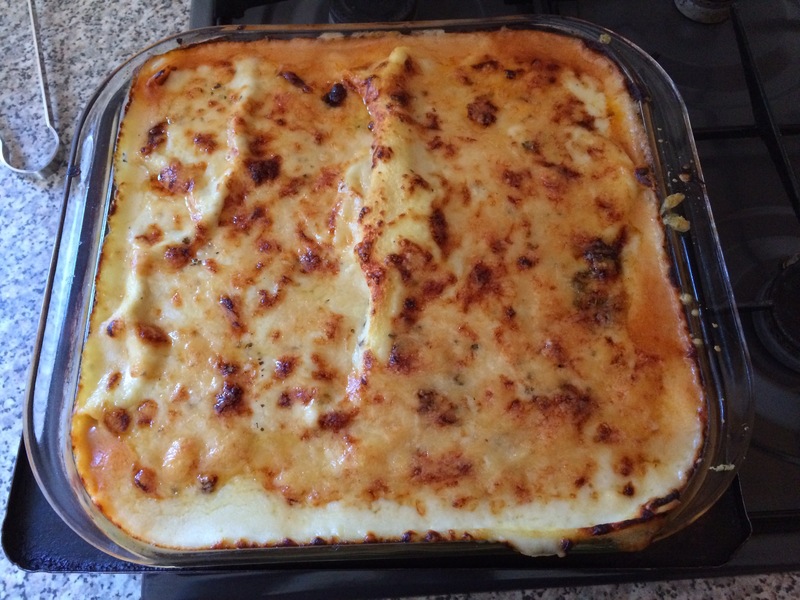 The cheese sauce is butter, flour, milk, nutmeg, grated Cheddar and Parmesan. We served the lasagne with garlic bread. 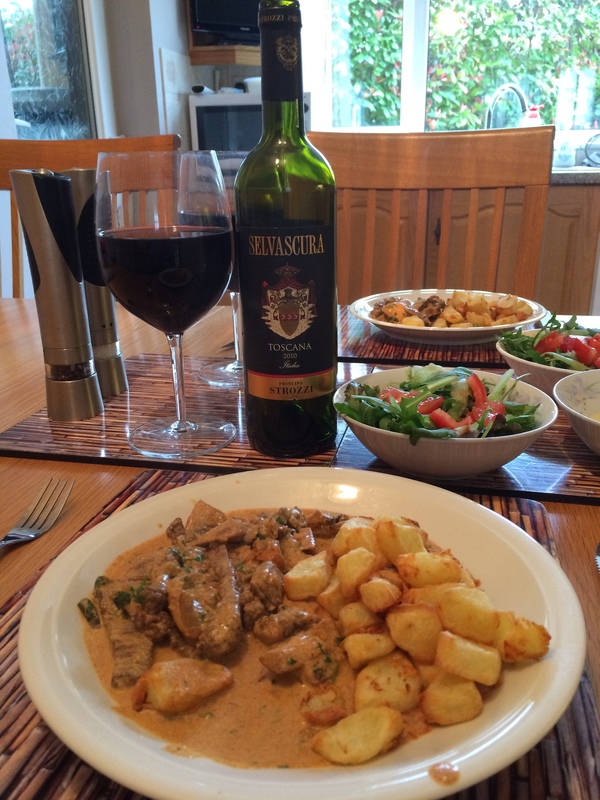 We paired this Italian dish with an Italian wine, Barbera d’Asti Araldica 2011 from the Wine Society. 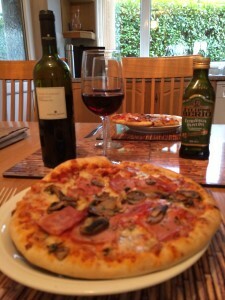 The wine was fruity and tart with flavours of cherries and plums. It also had a savoury earthiness with a slightly tannic bite at the end. 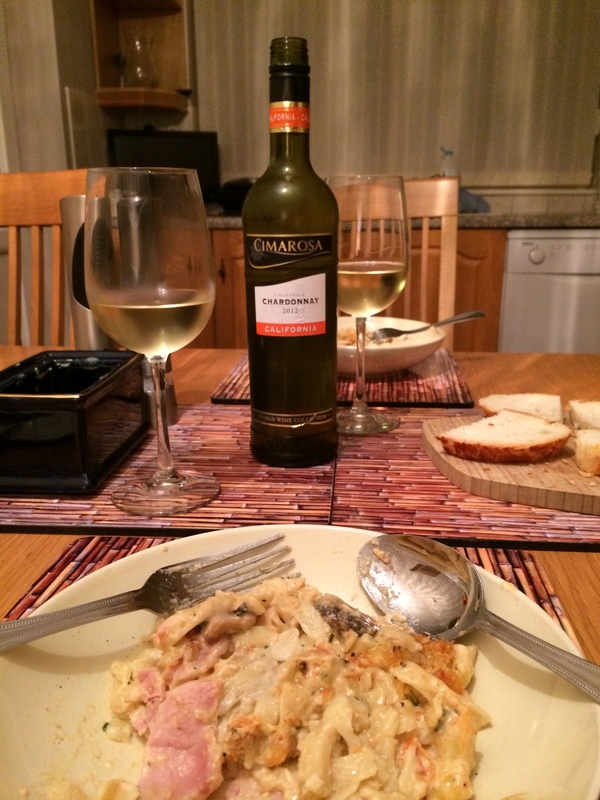 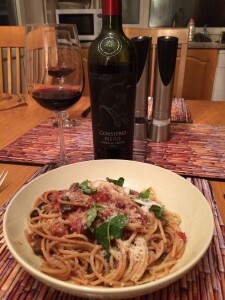 A very good match with the meaty pasta. 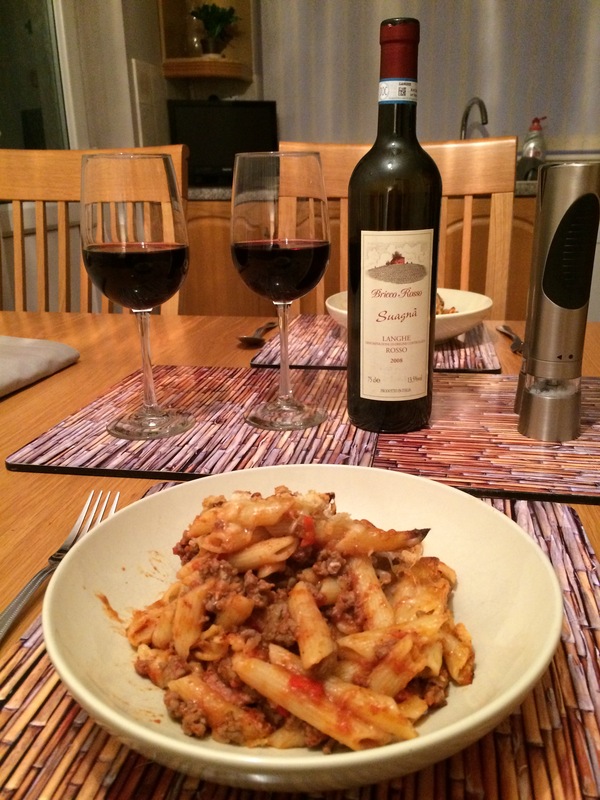 We cooked slow-cooked beef, a rich ragù-type dish from the Slow Cook Book. Cubed stewing beef is cooked with onion, garlic, carrots, celery, red pepper, oregano, paprika, anchovies, orange zest and canned chopped tomatoes. 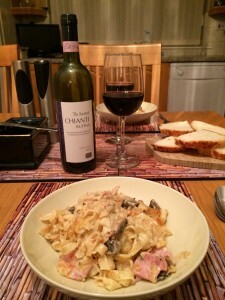 We served it with tagliatelle and Parmesan cheese sprinkled over. 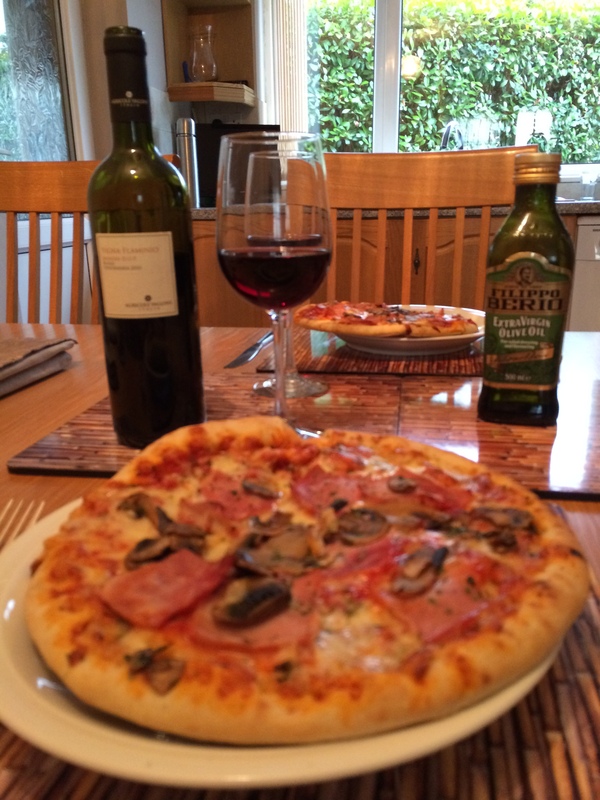 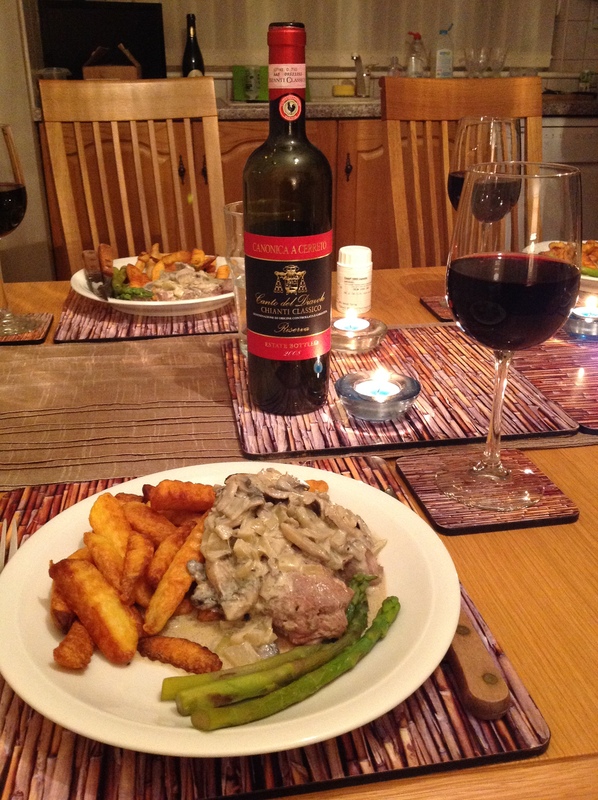 We paired the stew with an Italian red, Asda‘s Extra Special Barbera d’Asti 2012. We detected black fruit aromas and there was some acidity on the palate with flavours of cherries, blackberries and plums. 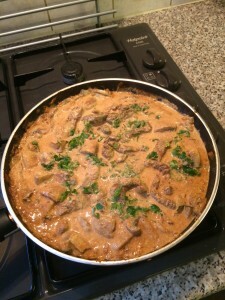 There was a slight sweetness on the finish and some affinity with the orange zest in the stew. A very good match with this beef stew. 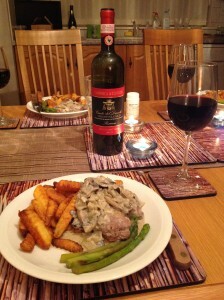 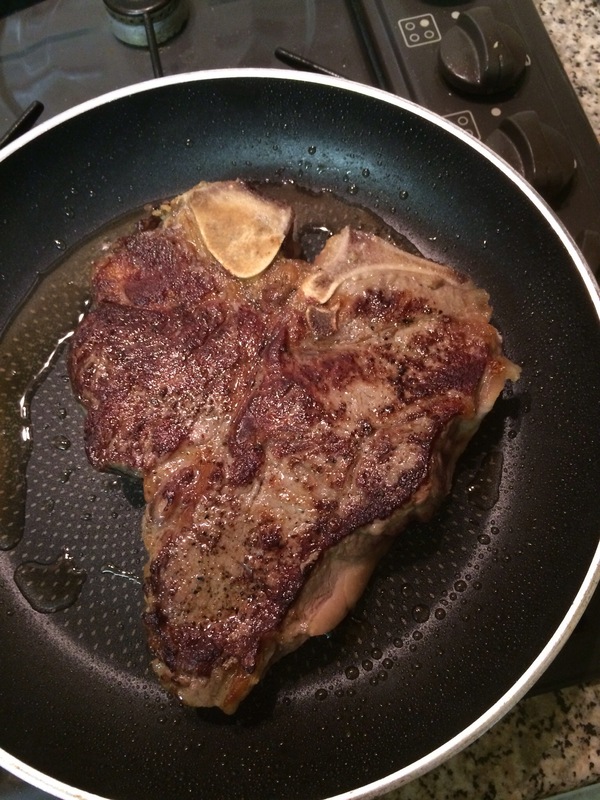 Welfordian Steaks are rump steaks pan-fried in a mushroom, cream and brandy sauce. 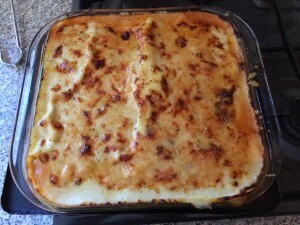 A very good recipe from Supercook. 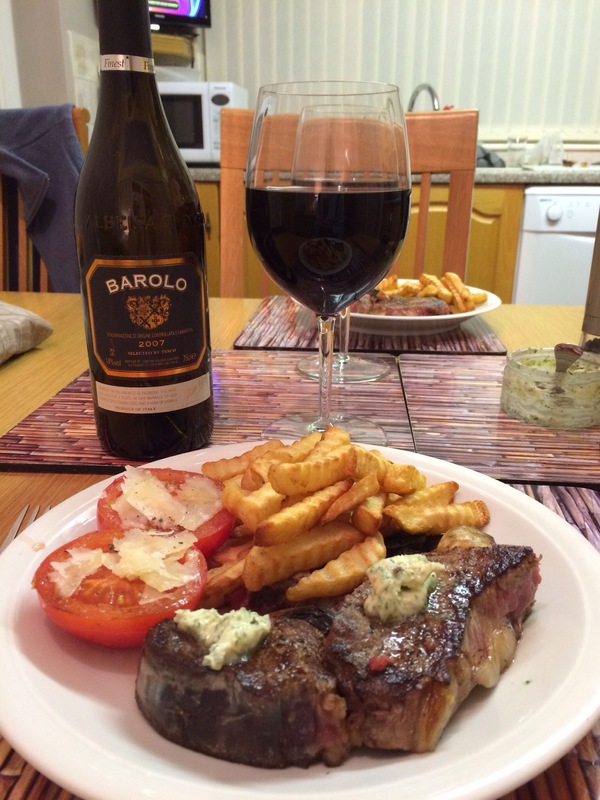 We served the steaks with chips and asparagus. 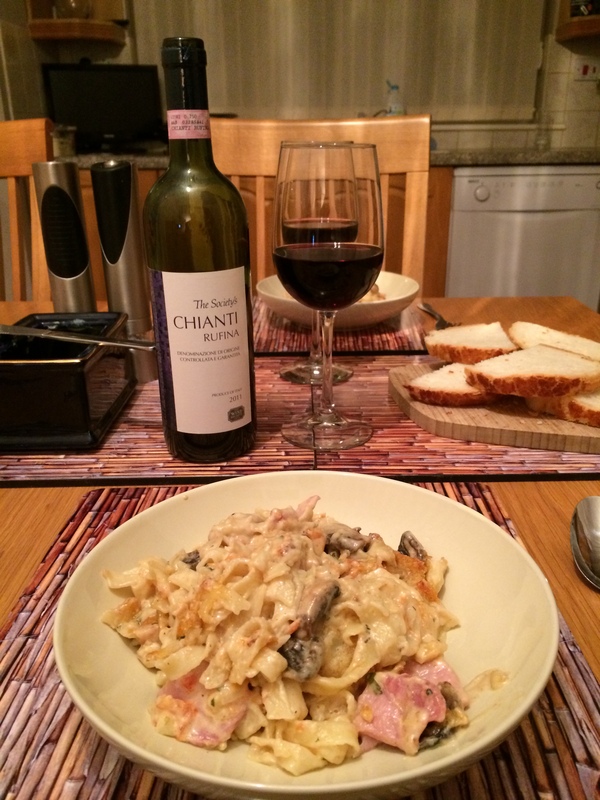 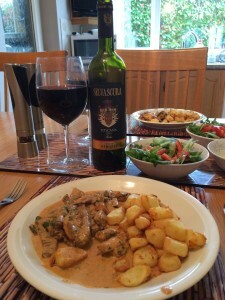 This lovely meal deserved to be paired with a decent bottle of wine, so we opened a bottle of Canonica a Cerreto Chianti Classico Riserva 2008 from the Sunday Times Wine Club. 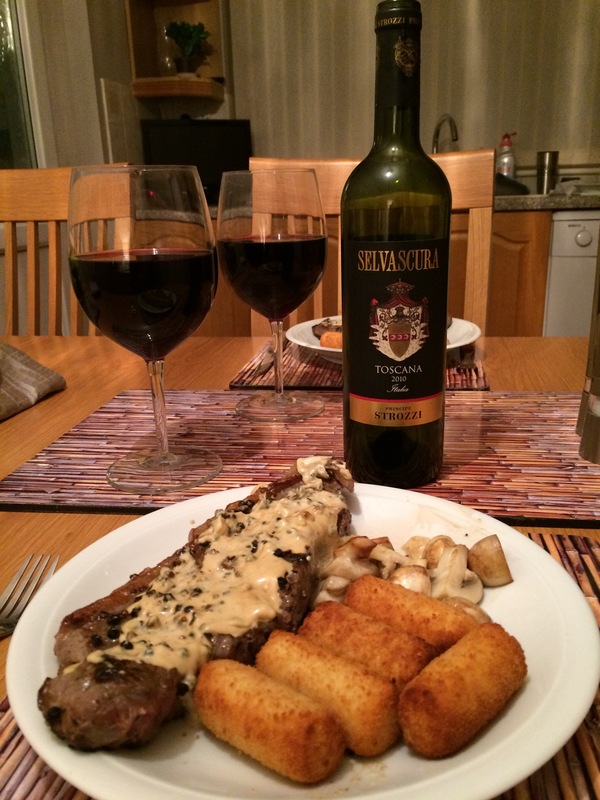 They describe this oak-aged Sangiovese with a touch of Cabernet Sauvignon and Merlot as a top of the range Super Tuscan. 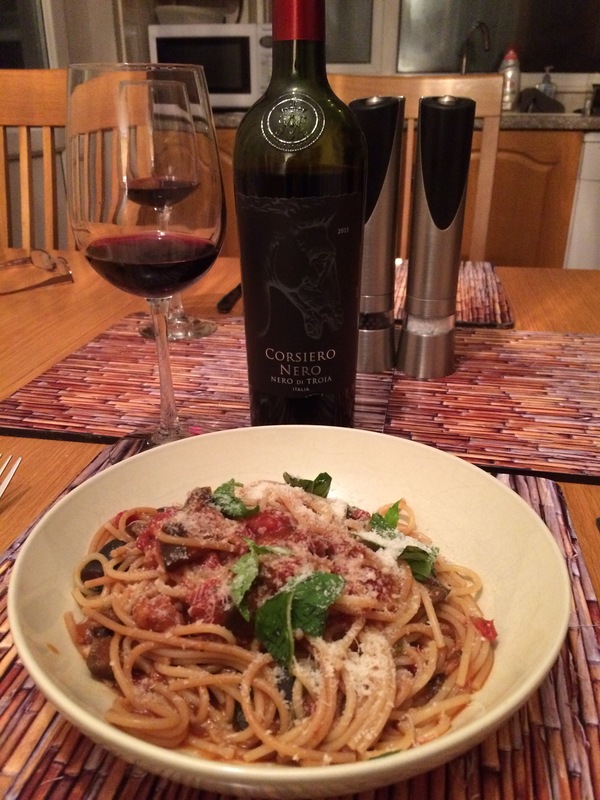 We tasted smooth red fruits, especially cherries, with spiciness and a tinge of liquorice. We thought the wine was a good match with the steak.